Legacy Fighting Alliance is returning to Minnesota on Friday night, and once again, the big show is bring a title fight with it. LFA 29 is set for 5 p.m. Friday at Mystic Lake Casino in Prior Lake. The show features a 135-pound title fight between Chico Camus and Ricky Simon in the evening's main event. Tickets are on sale from participating fighters and at the Mystic Lake box office. They're also available online through the Mystic website and at cagetix.com. 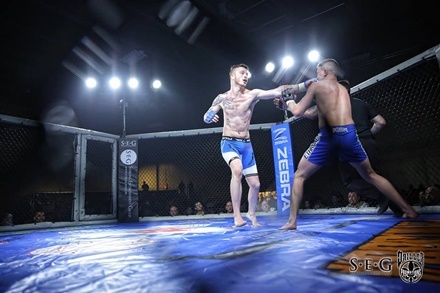 Fights start at 5 p.m., with the AXS-TV live broadcast beginning at 8 p.m.
Once again, we tracked down LFA local matchmaker Jeremy Bjornberg to break down each fight, and our favorite fight predictor "Hawkeye Fighter" returns to Minnesota MMA News to give us his picks for the big show. Enjoy! Weight: 135 (fight is for the LFA 135 title). Records: Camus is 18-5, while Simon is 10-1. State ranking: Both fighters are from out of state.